It is always stressful to deal with an angry customer. Even though he or she may take frustration out on you, it is probably not you who caused the problem, and most customers know this, even if they’re angry. Fortunately, there are a few things that can help in such situations. 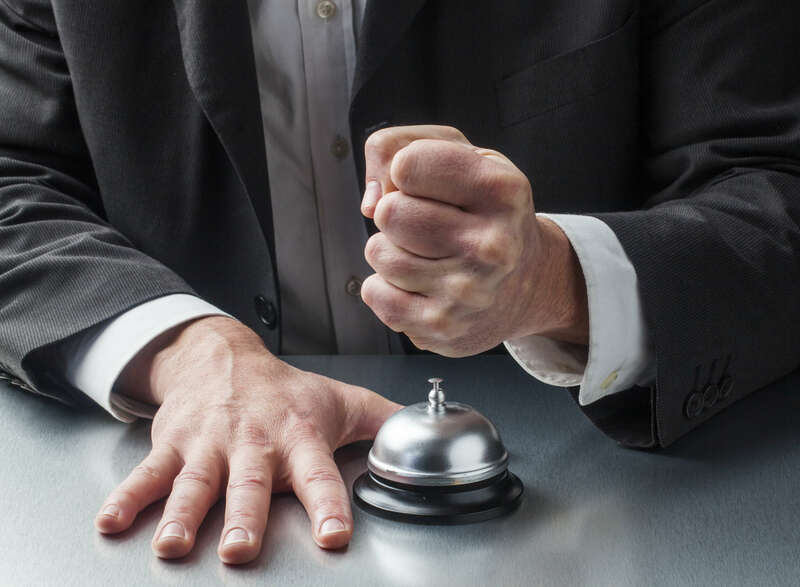 Although it is a natural instinct for people to verbalize their anger, many times a customer takes things too far, and you may begin to feel personally offended. As a professional, your response options are limited, and there can be no arguing with your customer. You can, however, advise the person that you understand his or her feelings of frustration and will work to resolve the situation. Being kinder and more helpful than you may be feeling or than you think the person deserves will often cause an irate customer to calm down and look at things in a more positive light. Remaining patient and courteous while working on the problem is one of the best ways to soothe and satisfy an angry customer or client. You don’t have to accept verbal abuse or unacceptable language. Maintaining your integrity will automatically put you in a position of authority and cause your customer to lean toward accepting your assessment of the situation. If you find that an apology is required, try to be gracious and genuine. You want to resolve the situation with as little damage as possible in relation to your current customer, your future customers (remembering that this customer will surely share the details and outcome with friends, family and acquaintances), and your own self-esteem. Navigating a difficult customer situation is one of the most uncomfortable and unpleasant aspects of owning your own business, but it’s one that can be endured and worked through if you remain true to your values and don’t allow yourself to be drawn into the negative emotions of the moment.